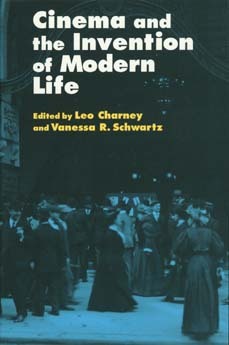 Casting aside the traditional conception of film as an outgrowth of photography, theater, and the novel, the essays in this volume reassess the relationship between the emergence of film and the broader culture of modernity. Contributors, leading scholars in film and cultural studies, link the popularity of cinema in the late nineteenth century to emerging cultural phenomena such as window shopping, mail-order catalogs, and wax museums. Leo Charney is a postdoctoral fellow at the University of Iowa and Vanessa R. Schwartz is Assistant Professor of History at The American University in Washington, D.C.